A variety of B2B marketing strategies for clients to gain new business in focused niche markets through highly effective and affordable sales lead generation programs. These sites work as a virtual search engine, connecting buyers with unique value propositions in their niche market. 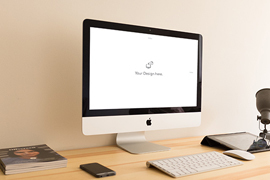 Feature your company’s product on one of our B2B marketing sites. 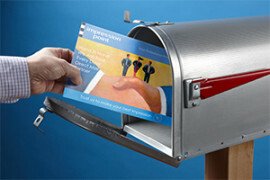 Deliver your B2B marketing message nationwide to your niche market for only 3 to 4 cents per contact through our direct mail postcard decks. We offer complimentary design services by one of our trained design professionals. 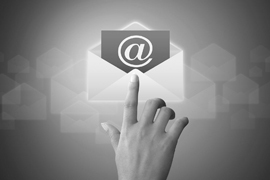 Email marketing is a quick, effective way to drive new prospects to your website. Our email marketing campaigns come with complete match back report with addresses of responders plus mailing addresses when available. We’ll even design and code your email. Rent one of our high quality mailing lists for your own campaign. We are B2B marketing specialists in our niche markets and accordingly maintain higher quality mailing lists than general mailing list providers. Contact us to receive a free 15 minute consultation to discuss a custom multi-channel approach to help you generate new customers! "I’ve tried multiple types of advertising and no other form comes close to matching the results I see from the VET-DEK. This informative piece allows the reader to easily view multiple offers in an brief and informative way. It is far and away the best way to get your message to those with a busy schedule. Your ad is quickly visible, not hidden in pages and pages of magazine articles. The response rate is much higher than anything I’ve tried. I highly recommend the VET-DEK." If you are happy with the results of your investment in one of our b2b marketing programs, please share your experience with your colleagues. 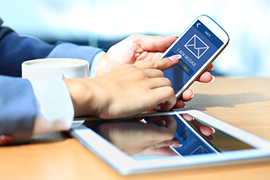 If one of your referrals becomes one of our new clients, you get an email marketing campaign for your company FREE!